Gingerbread is so versatile. All you need is some imagination to create a masterpiece. 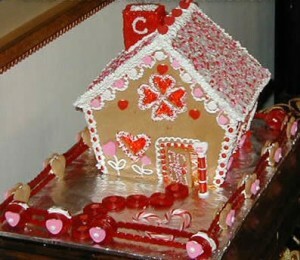 This Valentines Day why not surprise your sweety with a Valentines Day themed Gingerbread House decorated with lots of reds, whites, and pinks.